Kim Deal reaktiviert The Breeders ("All Nerve"), Tanya Donelly erweckt Belly ("Dove") wieder zum Leben und Kristin Hersh? Die schließt sich diesem Trend nicht an und bringt statt eines neuen Album der Throwing Muses lieber allein eine Platte heraus. Ihr zehntes Soloalbum trägt den Titel „Possible Dust Clouds“, ist als CD und LP (in der limitierten Auflage auf silbernem Vinyl) erschienen und bietet Alternative Rock, wie er auch Ende der 80er / Anfang der 90er hätte erscheinen können. „Possible Dust Clouds“ überrascht durch seinen teils schroffen und rohen LoFi-Charakter und Gitarrenausbrüchen, die Dinosaur Jr („Loud Mouth“), My Bloody Valentine „“No Shade In Shadow“) oder Sonic Youth ((„Fox Point“) gerecht werden könnten. Von „Tulum“ ätte ich gern einmal eine Fassung von Nirvana gehört. Verzerrte Gitarren, trockener Bass, schepperndes Schlagzeug, mannigfaltige Percussions und Hershs leicht kratzig gewordene Stimme bestimmen den Sound eines Albums, das, bis auf das abschließende „Lady Godiva“, alles andere ist als ein ruhiges, folkiges Alterswerk. More than ever, she leans into the texture of her voice, using it as deftly as a distortion pedal to match the racket she kicks up with her guitar. She revels in her rasp when she sings about how she "can't wait" on "LAX," and when she snarls about being "cursed with clear sight" on "Halfway Home," it's classic Hersh. For these ten songs, she took inspiration from the concept of "dark sunshine," and there's an ominous brightness that saturates the sweltering "Fox Point," "Lethe"'s tale of beachy oblivion, and "No Shade in Shadow," a psych-rocker that builds from a shimmer to a glare. A formidable momentum carries the album to its fierce, hallucinatory finale, "Lady Godiva," where Hersh adds acoustic guitars that chop and glisten as they did on Hips and Makers. 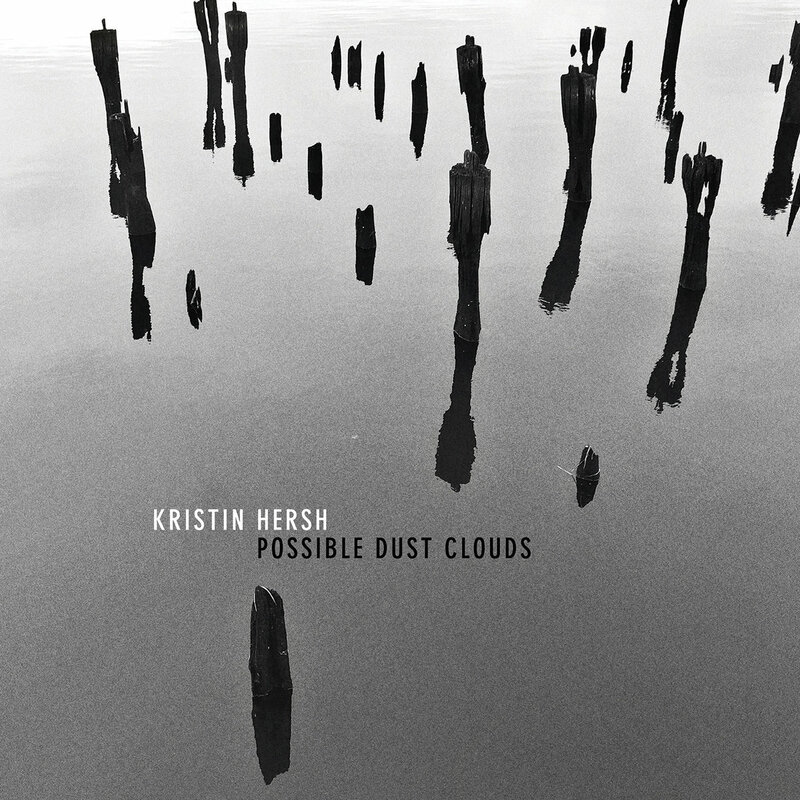 A stunning display of the grit and poetry that have been hallmarks of her music for decades, Possible Dust Clouds makes a convincing case that Hersh is becoming a more powerful, more creative rocker as the years pass. Lead single ‘No Shade in the Shadow’ was an early primer for the psychedelic textures of the record. 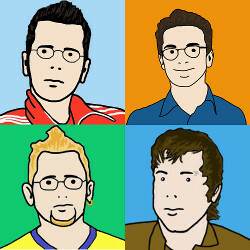 Beginning with a genuinely fresh, and wily, guitar riff the track swells with processed backing vocals and muted beats. Equally, the squalling guitars and cycling rhythms of ‘Loud Mouth’ make for a giddy experience. Time and time again she undermines straight lines in favour of skewed perspectives. Possible Dust Clouds finds Kristin Hersh as artistically curious and inventive as ever. Committed to avoiding easy choices musically and lyrically, she remains intent on exploring the murky complexities of the mind and continuing to make the best work of her career. She is an artist that’s always evolving, and yet again the results are often dazzling and always fantastically bewildering. Ich bin im Team Donelly. Und auch das Breeders Album war dieses Jahr stärker.